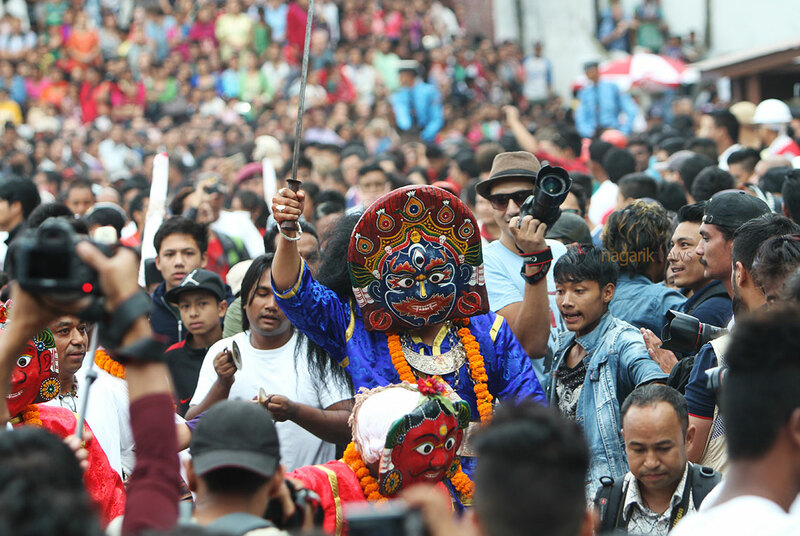 KATHMANDU, Sept 15: The traditional festival, Indrajatra, was observed on Tuesday by worshipping the Devraj Indra, the God of rains and good harvest. 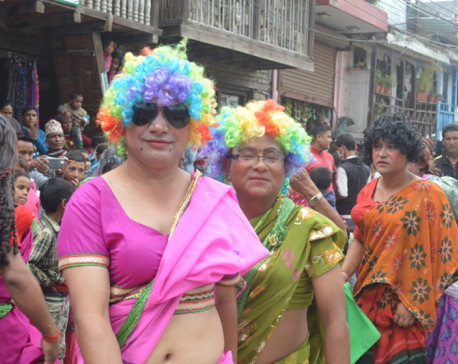 This festival is celebrated especially in the three districts of the Kathmandu Valley, and Dhulikhel and Dolakha. 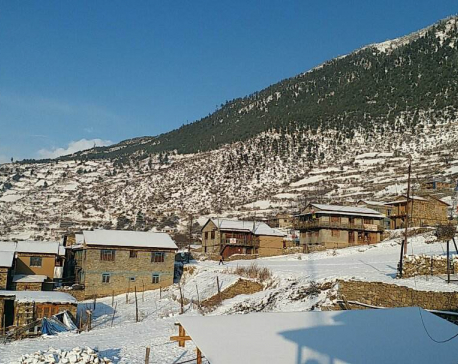 The annual traditional festival begins on the Bhadra Shukla Chaturdansi of Nepali month, Bhadra. It is the eight-day long festival. On the day the festival begins, a sacred wooden pole called Lingo with flags on its top is erected at Hanuman Dhoka, the historic place of Nepal. During the festival, chariot processions and typical cultural songs and dances are performed. The erected pole with flag is called 'Indradhwojotthan'. On the bottom of the pole, Lord Bhairav is worshipped. The Indrajatra festival is taken as the celebration after conquering the enemies. It is believed that worship of Lord Indra gives one strength. The wooden pole is brought by performing tantric acts from a jungle of Nala in nearby Kavre district. The pole is made holy with various rituals at Bhotahiti, Kathmandu. When the pole is erected, different cultural dances as Bhakkunach, Mahakalinach, Lakhenach, Dasavatarnach and Pulukisinach are performed in the city. Today, the Head of the State, the President, observed the chariot processions of Shree Kumari, Shree Ganesh and Shree Bhairav at historic Hanumandhoka. Kumari is worshipped as the Living Goddess by the President on the occasion, and prasad received.